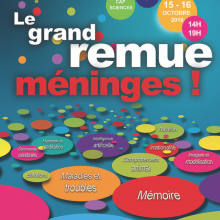 Nearly 2,600 visitors were able to meet researchers from the IMN in October 15th and 16th at the “Grand brainstorming” organized at the “Village des Sciences” in Cap Sciences for the 25th edition of the “Fête de la Science”. 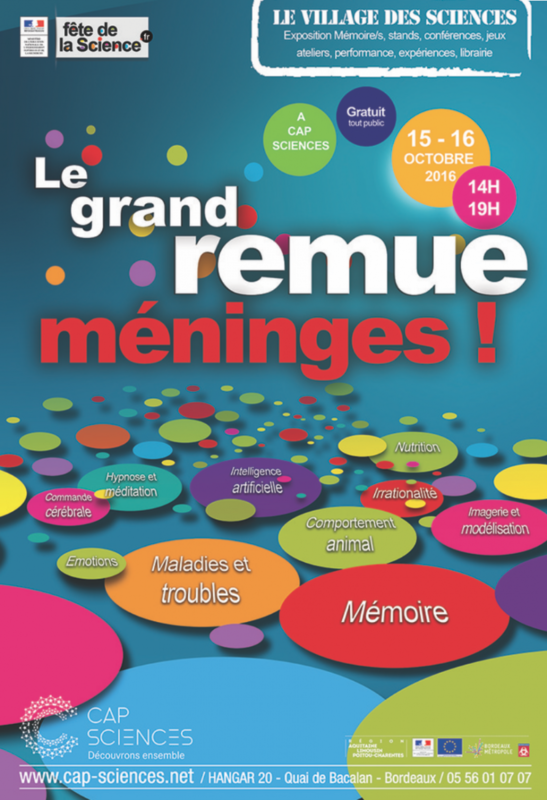 It was the occasion of numerous meetings and discussions with a wide and young audience interested in the various themes of Neurosciences (memory, illness, addiction, imaging, etc.) represented on the stand of Bordeaux Neurocampus.